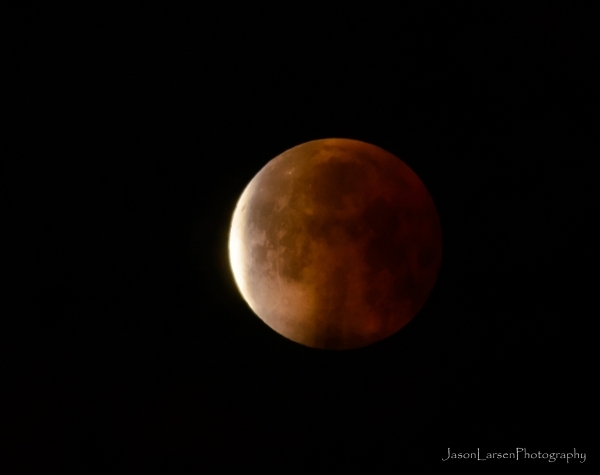 My son Daniel got a telescope for Christmas, so when there was going to be a lunar eclipse Taunya woke him up at 5:30 am to look at it. Unfortunately, with slight haze from light clouds and a very dim moon, it was difficult to see much detail with his telescope. 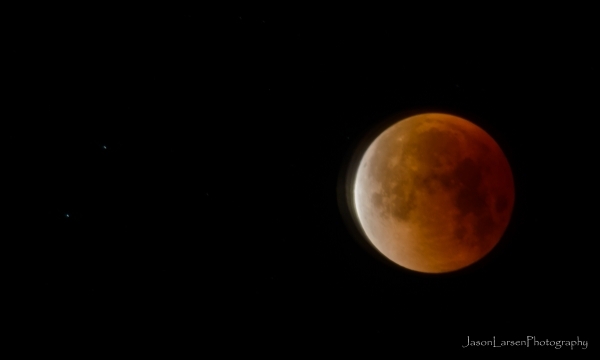 I then thought I would take some quick photographs of the lunar eclipse. I actually was able to frame in two stars as well. I had the same trouble with trees and clouds as well. 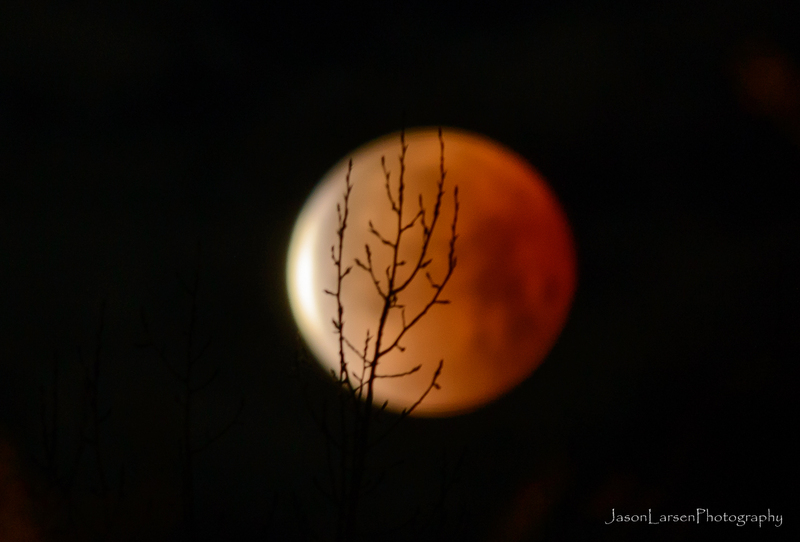 Here is a shot focused on the trees rather than the moon. This is the last shot I took before having to stop and get ready for work. 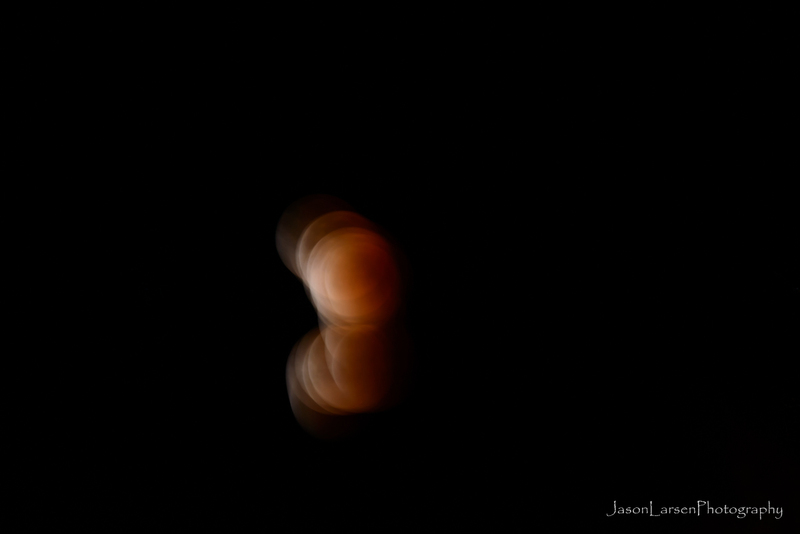 This is what happens when you think you can hand hold an eclipse shot…..Usually you can shoot a bright moon hand held because the shutter speed is fast enough.